Beaches, castles, horse-drawn carriages, ice cream, and pastel de natas are what your family will love. Visitors can take a bicycle tour to the lighthouses of the Algarve. Portugal is in the midst of a tourism boom, with visitors flocking to its clean, sandy beaches, bustling coastal towns and gloriously warm climate. It’s a safe country to visit with a family-friendly culture, and offers great value for money compared to many other European destinations. A Portugal vacation will convert you. Read our guide to the best family hotels and resorts in Portugal. Best places to visit in Portugal? 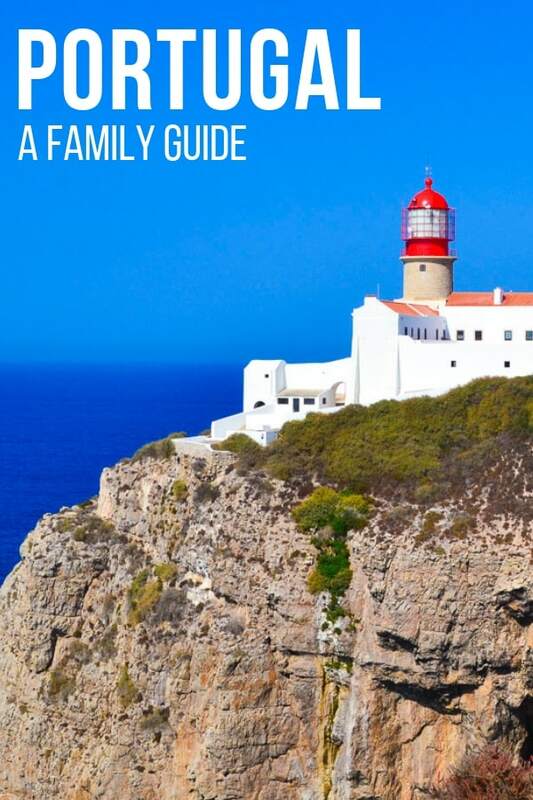 The strip of land between Sintra, near the west coast, and Sagres on the extreme south-western tip of the Algarve, is so diverse that it offers something for every family member. 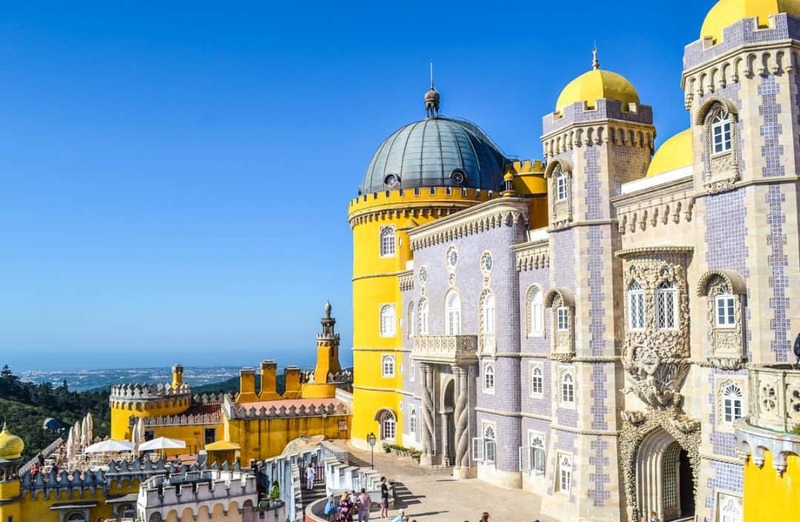 Sintra is a land of fairy-tale castles, while nearby Cascais is a stunning fishing town and just a short drive from the cosmopolitan city of Lisbon, where you’ll find sightseeing and nightlife aplenty. 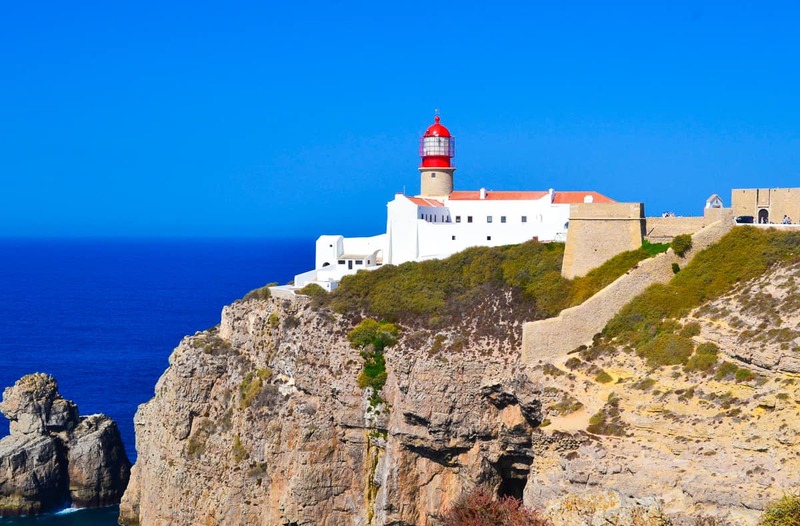 Driving down to the Algarve, you’ll pass quaint fishing villages, rugged coastlines and stunning nature reserves, to be warmly greeted by the beaches of Sagres, which could rival those of California. Photo courtesy of the Lisbon Tourist Board. Weather in Portugal is mild or warm year round. There is no wrong time to enjoy long walks exploring. From November through April, expect high temperatures to range from the mid-50’s to mid 70’s. During May through October, temperatures range from 70’s to high 80’s. There are direct flights to Lisbon from New York, Philadelphia, Boston, Miami, and Los Angeles. Alternatively, if you wanted to start at the bottom of the country and work your way up, you can fly into Faro in the Algarve and drive just over an hour to Sagres. Fish is always the dish of the day in Portugal. Fresh grilled sardines and salted cod are available on most menus. You can also taste influences of the former colonies in the food. The famous spicy piri piri chicken fuses African and Portuguese cuisine. The pastel de nata egg custard tarts are the treat to try. Children are sure to love the delicious pastel de natas, which are golden puff pastry cases filled with egg custard, dusted with cinnamon and powdered sugar. I had the pleasure of exploring Portugal with the innovative travel company Global CommUnity. They create customizable itineraries for families to Portugal, and many other destinations, so you can truly experience a country like a local. Their slogan, “No one is foreign,” speaks to the founders’ desires to use travel as a tool for human connection. After completing a trip-planning questionnaire, the travel experts plan an interactive itinerary that appeals to all members of your family. Global CommUnity will then organize local, on-the-ground experiences to show you the heart and soul of Portugal. Before you leave for Portugal, children under 12 will receive a doll named Paulina and a storybook, detailing what life is like in Portugal. The whole family will receive recipes and books to prepare for the trip. If your family views travel as an educational tool, they can even tailor your trip to your children’s school curriculum. Families can reserve a tour with four or five star hotels at different prices points. Global CommUnity believes that travel should also give something back to the local community. They can also organize a volunteer shift with Re-food, an organization who take excess food from Lisbon’s restaurants and repackage and deliver it to those in need. If you have a child in the midst of a Disney princess obsession, then a visit to Sintra will definitely make her dreams come true! The area within the Park of Pena is home to some of the most varied and romantic castles and palaces in Europe. 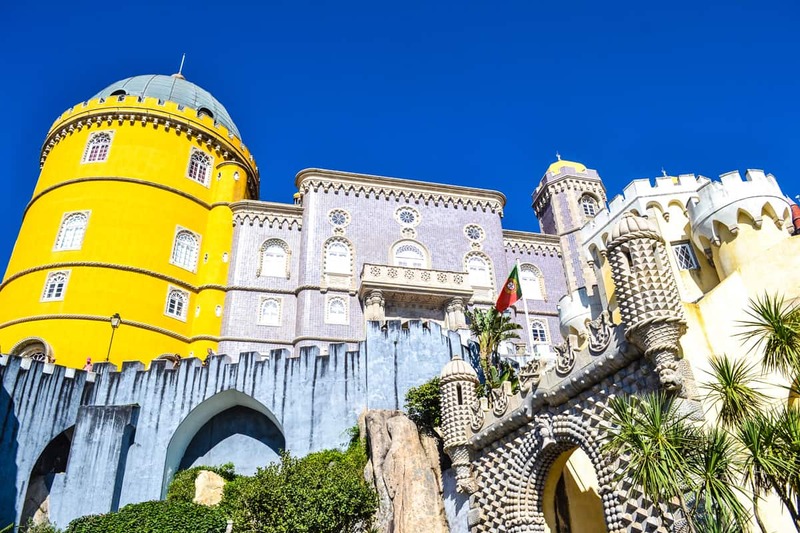 These include a Moorish castle, the grand Palace National of Queluz, and most spectacular of all – the dramatic Pena National Palace, which looks as if a child has drawn a fairy tale castle, then raided the paint box and splashed an assortment of colors across it. For a truly special experience, Global CommUnity guides you through the Pena National Palace telling you of its history. 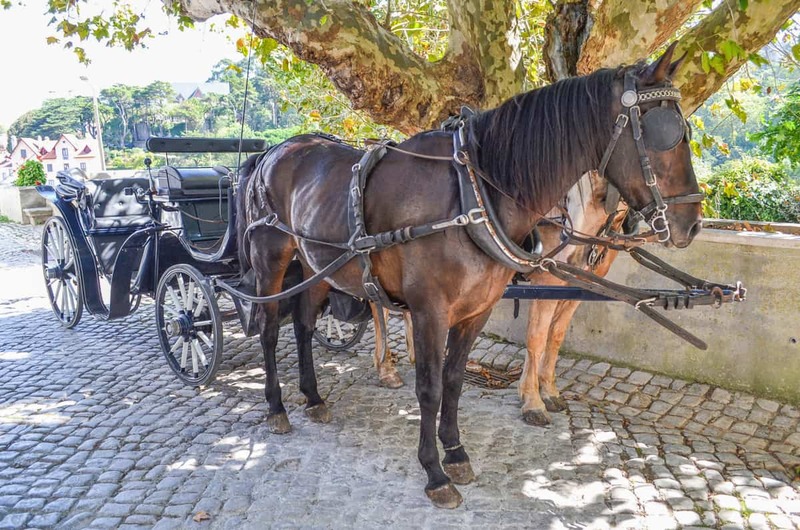 Then your guides take you to meet your horse and carriage which will whisk you through the forest down to the centre of Sintra. It’s utterly enchanting. Global CommUnity can arrange a horse-drawn carriage ride through town for your family. 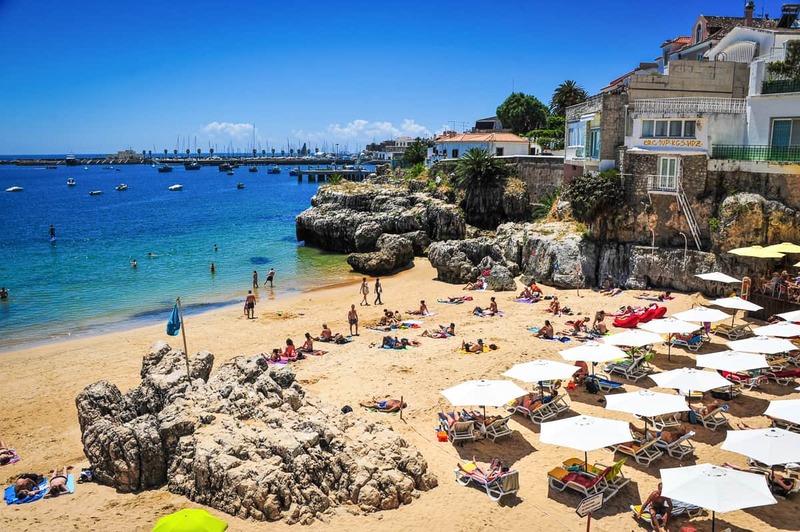 Just 30 minutes from central Lisbon by car or train, Cascais is a picturesque fishing town on the Portuguese Riviera. It’s known as the Town of Kings and Fishes, as historically it has been both a minor fishing village and also a vacation-spot for Portuguese nobility. There is a pretty town centre with pastel-colored buildings, museums and family-run restaurants, and also child-friendly beaches to the east of the town, with calm waters. Seeing the little fishing boats bobbing on the turquoise sea at Cascais’s waterfront is truly picture-perfect. Lisbon is a vibrant city and a great place for families to visit. 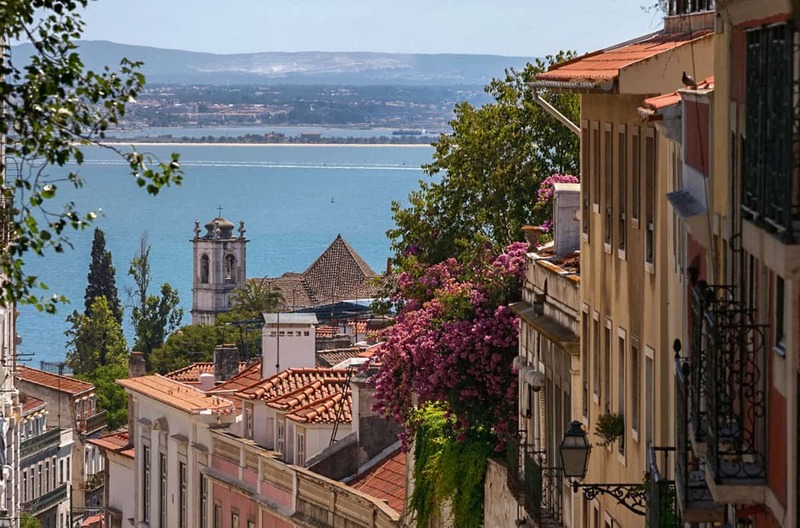 Children in particular will love the various modes of transport that Lisbon offers – from tuk tuks and trams to the bright yellow Hippo tour bus, which takes you on both land and water. 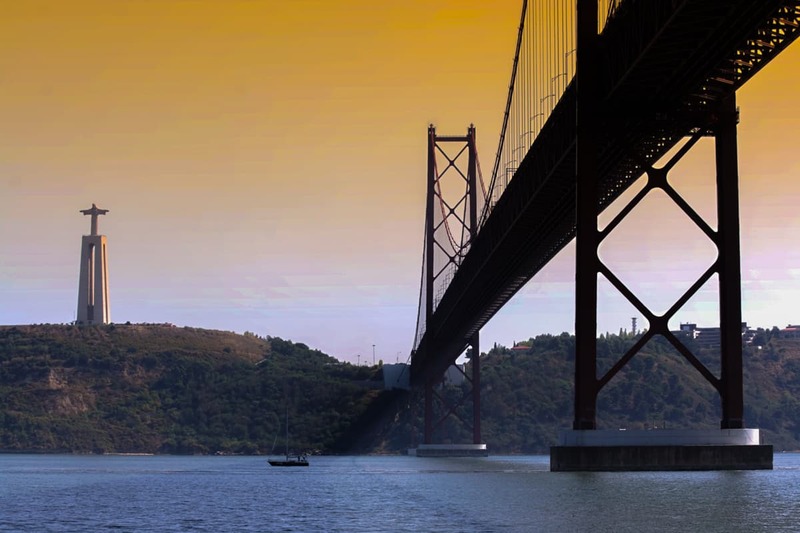 Hold on tight as the hour-long ride takes you right underneath the iconic 25 de Abril suspension bridge and past Lisbon’s waterfront neighborhoods. After years of being industrial wastelands, these areas are now being reclaimed by the locals for restaurants, nightclubs and gallery spaces. 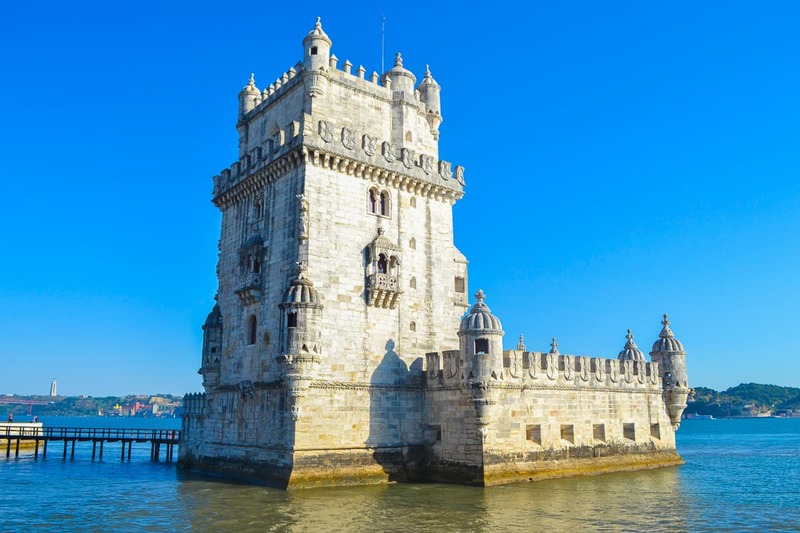 You’ll come face to face with the imposing Padrão dos Descobrimentos (Discoveries Monument) dedicated to the explorers who made Portugal a superpower and cruise past the Belem Tower, without the crowds! This bustling food hall opened in 2014 and is now home to 32 food stalls and 8 bars, all arranged around an indoor courtyard with communal bench seating. 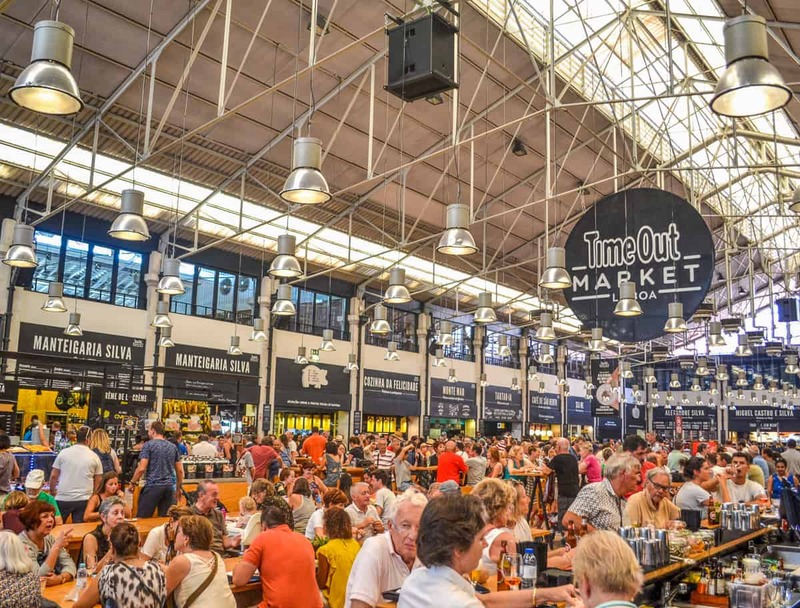 Time Out market in Lisbon. You can eat your way around Portugal in this market until you can’t eat any more. It features regional dishes, from Azeitão sheep’s cheese, to Lisbon’s famous Santini ice cream, very similar to excellent Italian gelato. The space has proved hugely popular, attracting over 3 million visitors last year. Parents with small children be warned. At peak times, it can be a busy space to navigate with strollers. There are many ways to get under the skin of a city, but Global CommUnity came up with a truly unique way to see Lisbon – from the sidecar of a vintage motorbike. 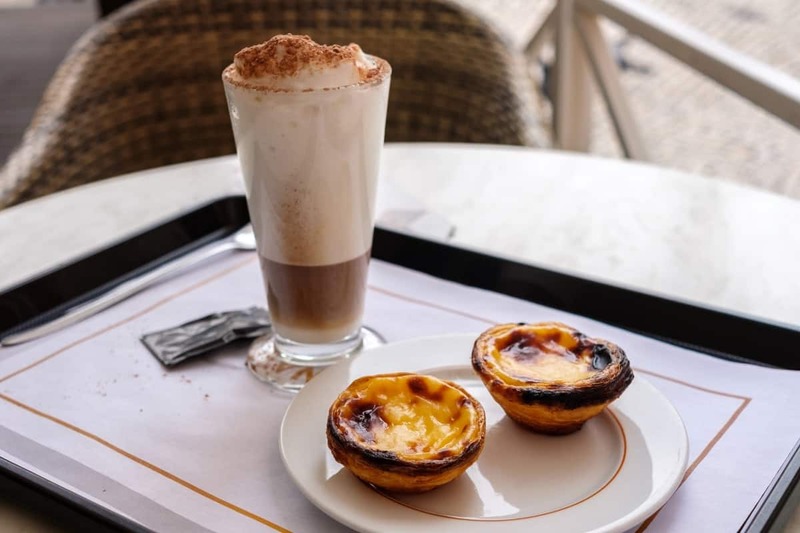 The two hour tour takes in the main sights of the city, from the Belém Tower and the Gothic Jerónimos Monastery, to the world renowned Pastéis de Belém bakery — where you can sample Portugal’s famous pastel de nata custard tarts. 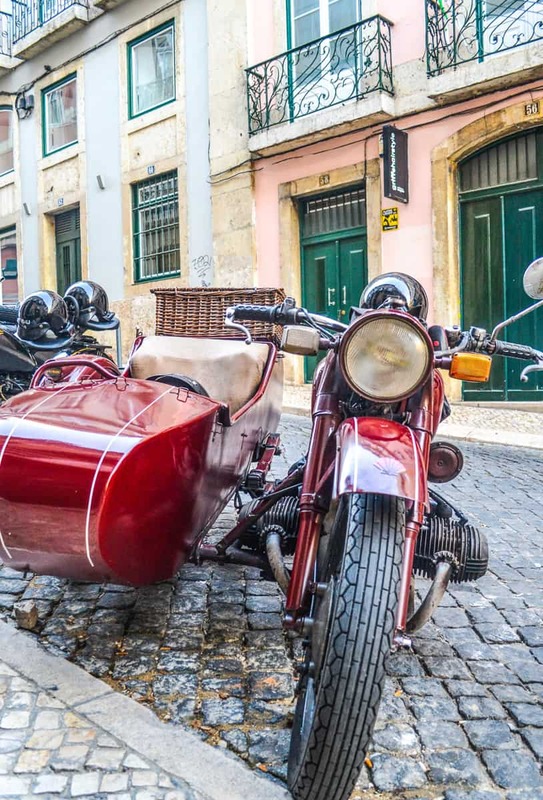 A vintage motorbike tour of Lisbon is a refreshing way to tour. The tour is conducted by a local guide, offering insights into the local culture and history, and is an engaging way for tweens, teens, and parents to explore the city from a new perspective. 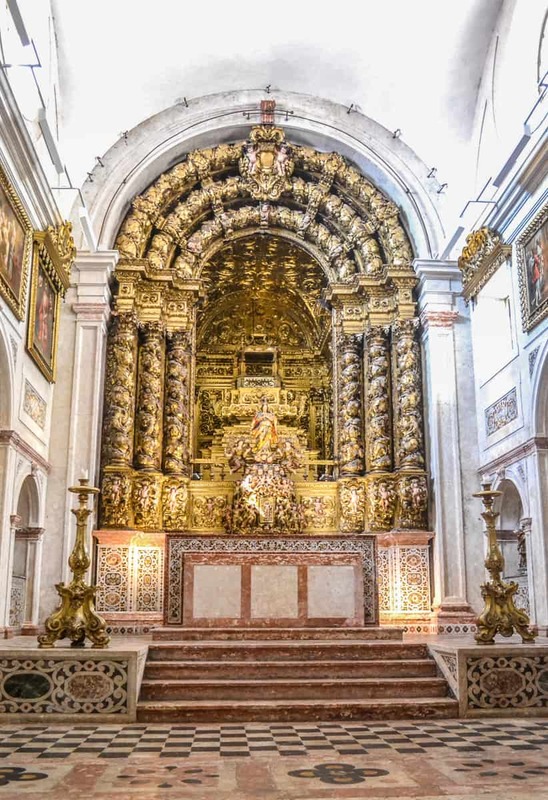 The beautiful Baroque Convento dos Cardaes is hidden away in a side street in Lisbon. Here, the Dominican nuns produce jams from their secret recipes and sell them to the public. Their jam sales fund their work looking after abandoned girls. The process is usually kept away from the public’s gaze, but Global CommUnity guests have been given exclusive access to work side-by-side with volunteers at the baroque convent. After a visit to the local market to choose ingredients guests make jam or cookies in the convent’s kitchens. Global CommUnity also offer families the option of painting traditional Portuguese tiles at the convent. Despite being on the tourist map, Sagres has managed to stay relatively unspoiled, with large protected nature reserves to explore. There’s a refreshing absence of high-rise buildings and an abundance of sand dunes leading down to the clear sea. 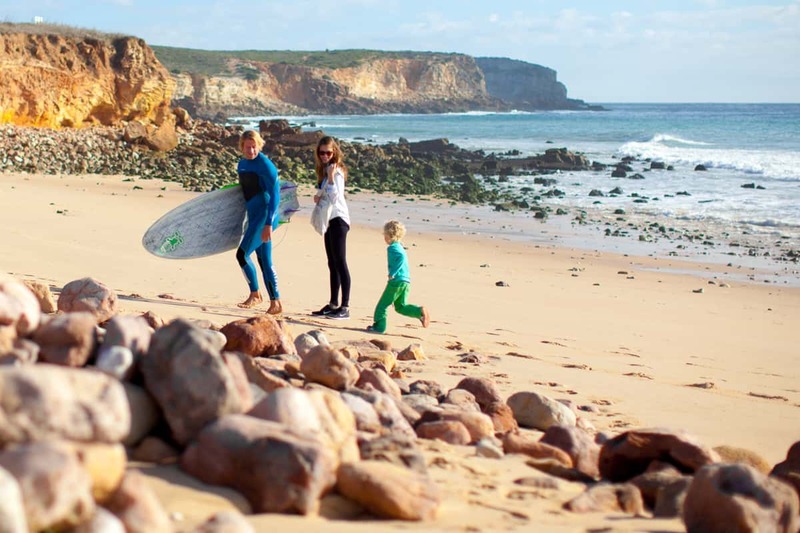 Families looking for a super-relaxed vibe will find much to love about Sagres. Surrounded by beautiful landscapes, it’s a perfect location for gentle hikes, a family bike ride or several water sports. Sagres is a beach town in the Algarve, Portugal’s southernmost region. It sits at the southwestern most tip of the country, having access both to the wild waves of the Atlantic and mild tides from protected coves. 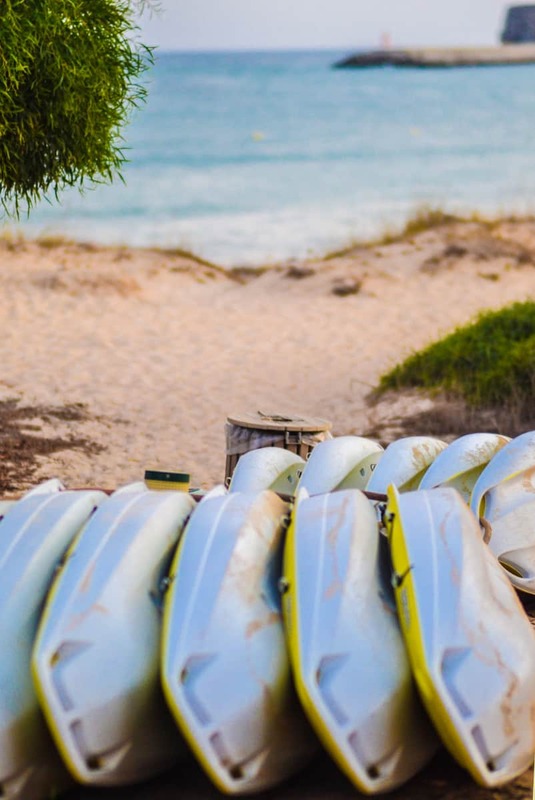 Surfers from around the globe flock to Sagres’s beautiful beaches. The waters are some of the cleanest in Europe. 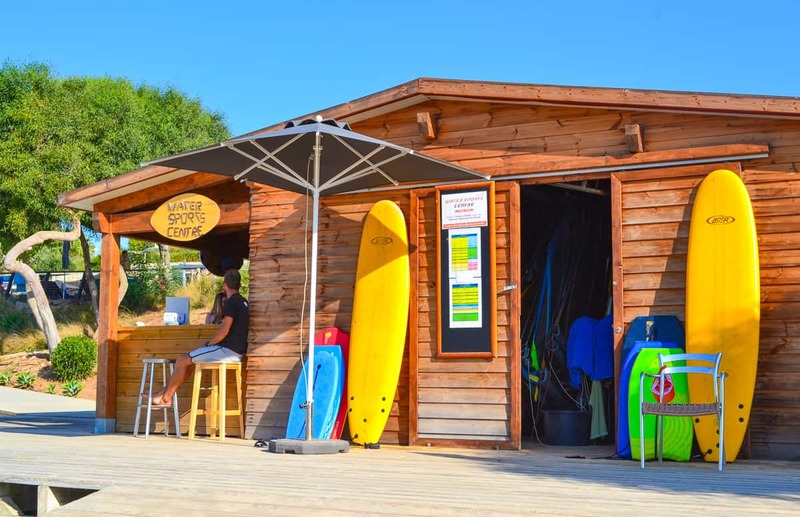 This creates a particularly good environment for kids and beginners to learn to ride the waves at a surf school. Family surf lessons available. Photo courtesy of Martinhal Resorts. Individual lessons for younger children or group lessons from 13+ year olds can be arranged through Martinhal Sagres (review coming soon!) for hotel guests, with a four-hour group lesson costing around 50 euros. Discover the beautiful sea life of Sagres – the submarine caves, mysterious sunken shipwrecks and a variety of flora and fauna that make Sagres one of the most beautiful and exciting locations for diving in Europe. In these waters you can find Morays eels, octopuses, crabs and dolphins. PADI courses are available that include a simple dive. With equipment included, expect to pay around 50 euros. These can be booked through the Martinhal Sagres resort. The Algarve has some fascinating marine-life, including dolphins, sea turtles and blue sharks. Dolphin watching trips are popular in Sagres. Families can venture out into the ocean and see these marine mammals in their natural environment. Several tours depart from Sagres harbor daily and usually welcome children over the age of 2 years. 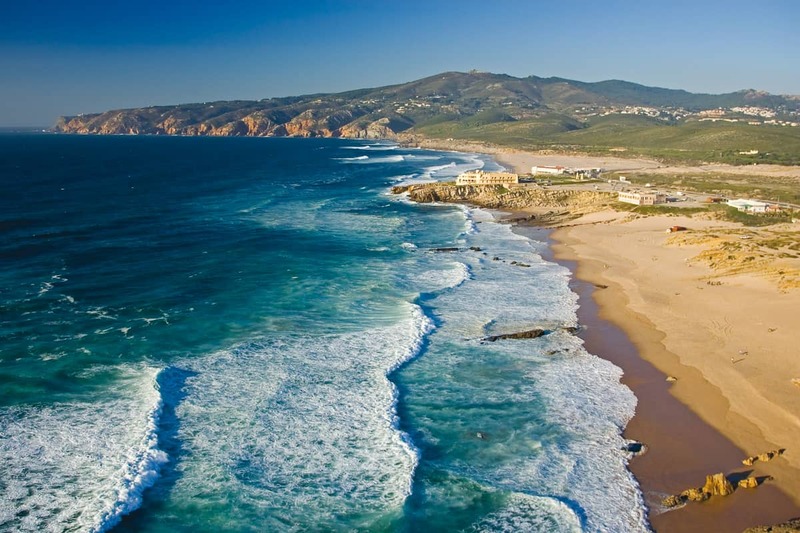 The Algarve beaches have both the wild surf of the Atlantic and milder protected beaches. Why book with Global CommUnity? Having visited Portugal a few times previously, we arrived thinking that we knew the country fairly well. However, our Global CommUnity activities helped us to experience Portugal on a much more local level. Whizzing through Lisbon’s cobbled side streets on a vintage motorbike, eating the most delicious pastel de nata imaginable, or making jam in a spectacular convent, it really brought the country and its history to life in a way I hadn’t yet experienced. Families with children aged ten and upwards might benefit the most from the Global CommUnity tours. Some activities, such as the vintage motorbike or the RIB water tour, aren’t good for younger children. You might also want to schedule a few days of relaxation either side of your Global CommUnity tour, so it doesn’t become too exhausting for the kids. Overall, the activities helped us feel more connected to the country and creating connection is the goal of the company’s tours. I was invited to experience a Global CommUnity tour in Portugal, but these opinions are entirely my own. Okay, I just added Portugal to our family’s bucket list! It seems pretty amazing and a great place to visit with kids. It’s great to know that Global Community will tailor travel to bring educational activities into the plan. Portugal is one of my favourite countries – Lisbon but also the coast around Cascais and the palaces of Sintra. 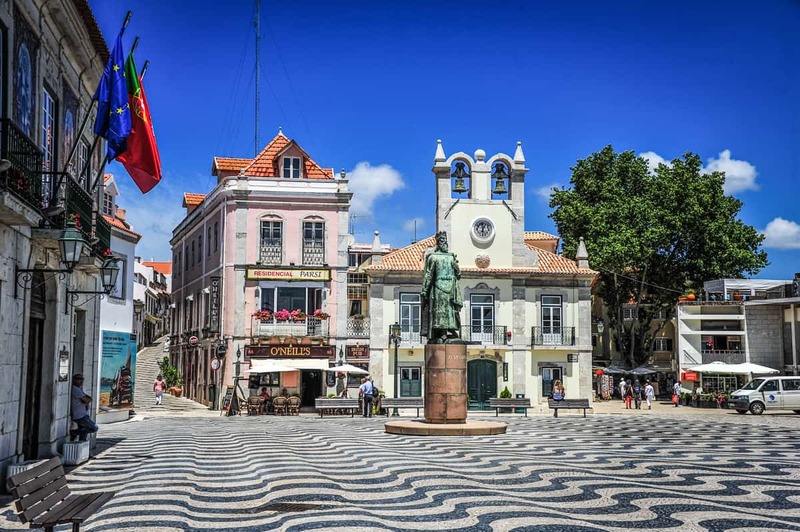 My daughter has been to the Algarve and Porto too so we’ve done a few activities in your post but love the sound of the company and the things they offer.